I haven’t been good about posting outfits lately, so here is a short recap of some of my favorite things I got to wear in April. I absolutely love anything mustard colored and this cardigan is one of my favorites. 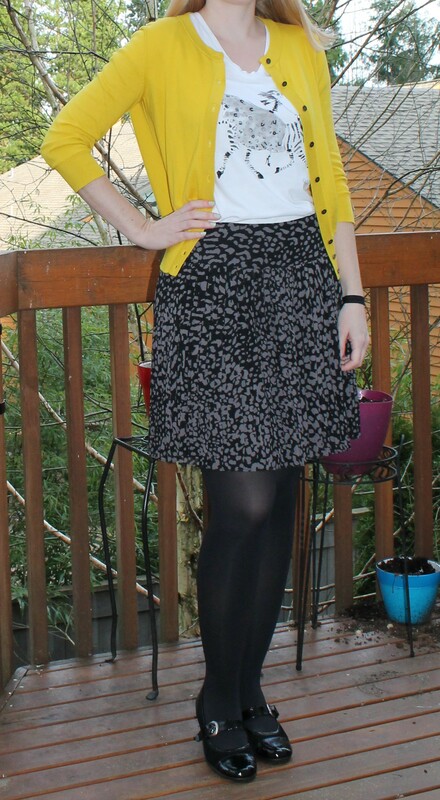 The cardigan, tee, and skirt are from Ann Taylor Loft last year. I had a chance to wear my green/gray striped stitch fix top. 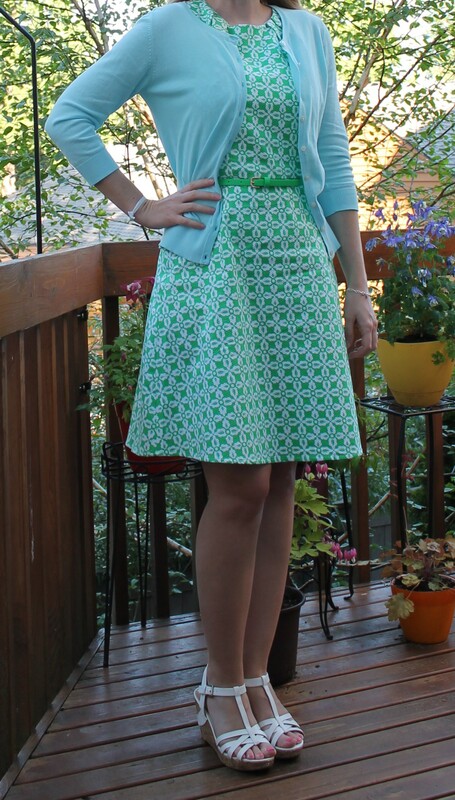 We went out for Easter Brunch and I wore this old dress from GAP paired with some shoes from ModCloth. 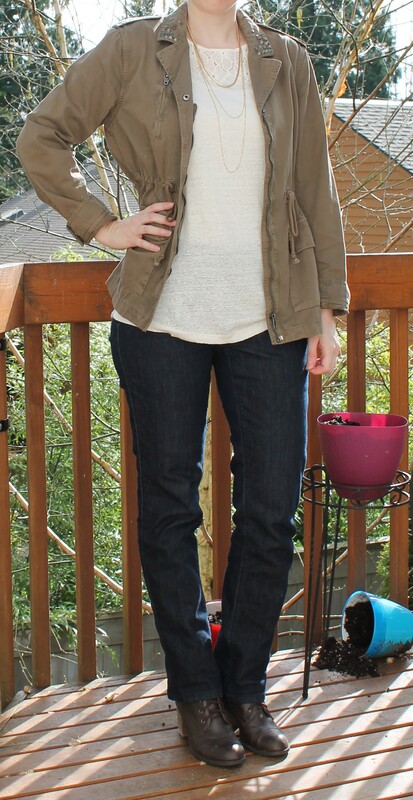 I got a new linen tee from Ann Taylor Loft and paired it with my military style jacket. This is one of my favorite laid back go-to looks. I got this flowy top from LOFT and paired it with a pale pink cardigan from Old Navy. This was one of my favorite looks. 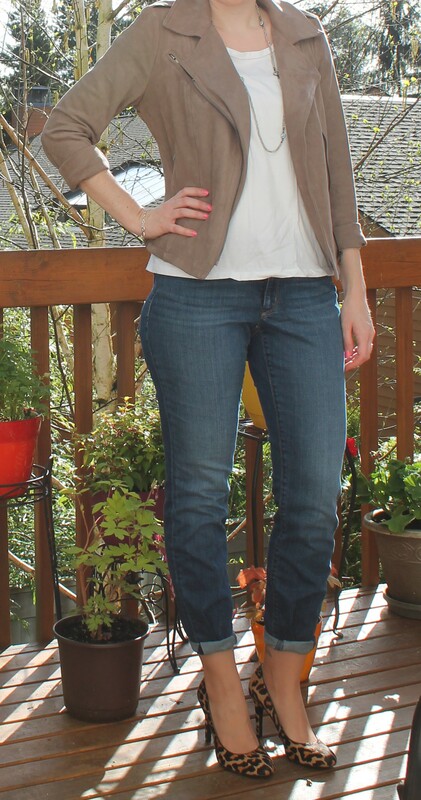 The faux suede jacket is from Piperlime and the pumps are Nine West. I felt so chic! New York and Company had some really great spring dresses this year. I got this one along with a pink floral one I haven’t worn yet. Both are really flattering for my shape and a nice length for work. Love this dress. 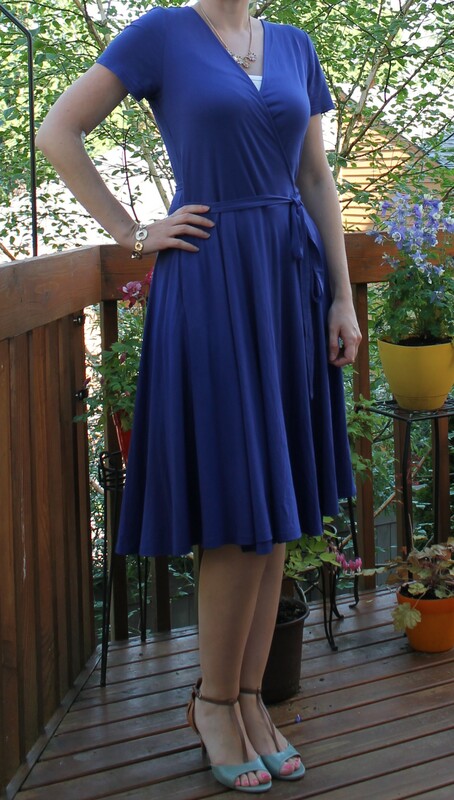 The length, the flow of the fabric and the cut and color. Great Stitch Fix find.